Grapes: Passerina obtained by a vineyard cultivated with organic farming certified techniques. 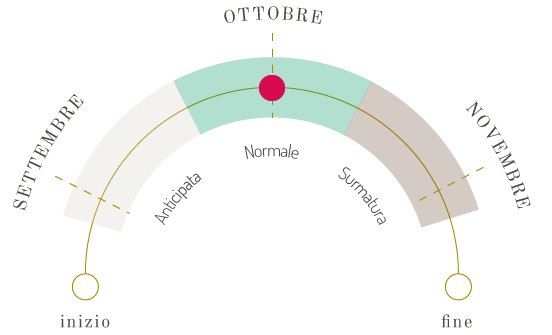 Manual harvest when the right balance between acids, sugars and pH is reached, generally between the middle and the end of September. Fresh as an aperitif, it goes well with fish dishes and vegetable soups, cheeses not too seasoned and with classic “Oliva Ascolana del Piceno” (breaded olives stuffed with meat).